I hope you are all fine. A few days ago I got the best post. 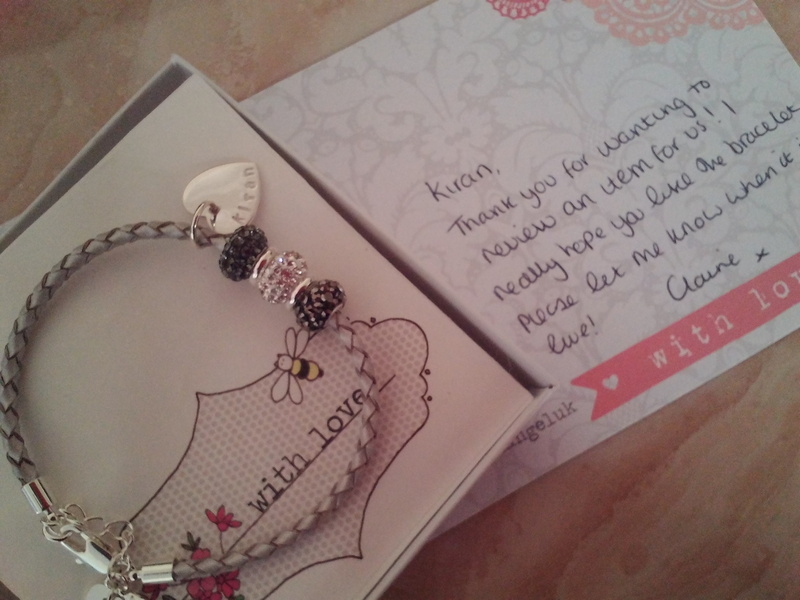 It was my Lisa Angel bracelet which I kindly got gifted. 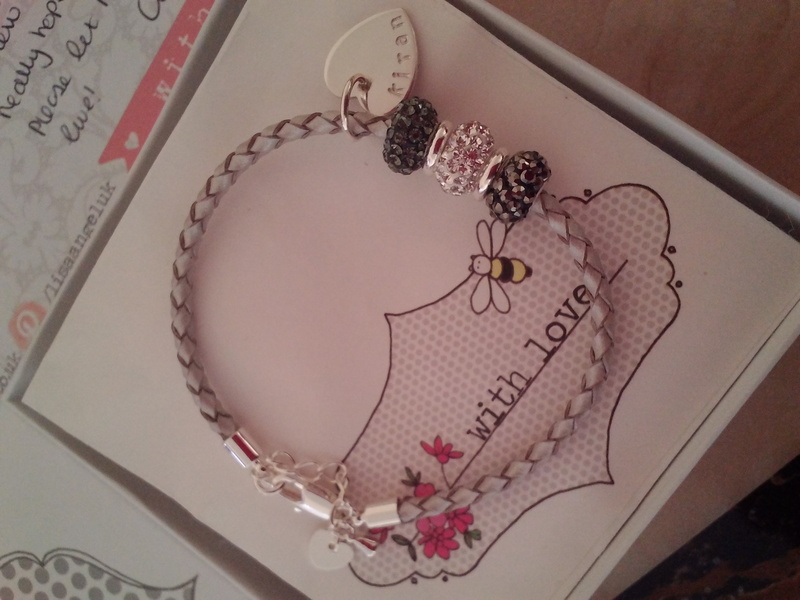 This was the personalised dimante bead and braided silver leather bracelet. I chose this mainly because I thought the colours contrasted well and it was glistening and I love sparkly jewellery. My first impression was “WOW I love it!” I fell in love instantly. As you may or may not know I love when I have my name on things like anything! This had my name engraved on the heart charm I just thought it looked super cute as there is only a couple of beads and the little heart charm adds great sassiness to the bracelet. The only disappointment was my wrist again is too small as I mentioned on my other post. I hate having small wrists. As this makes the bracelet droop a little this is annoying as it looks so nice on. Any tips on getting bigger wrists let me know in the comments. 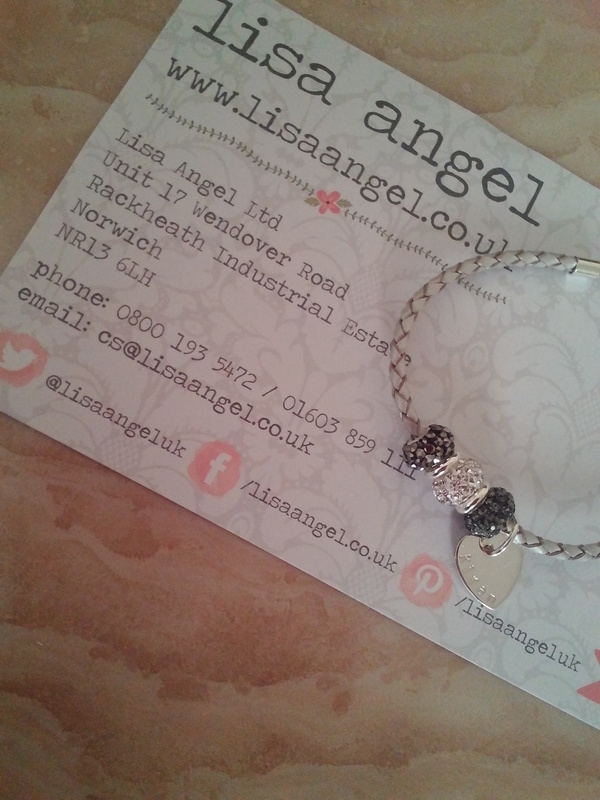 Thank you to Lisa Angel for this perfect bracelet; it’s one of my favourite jewellery pieces right now. 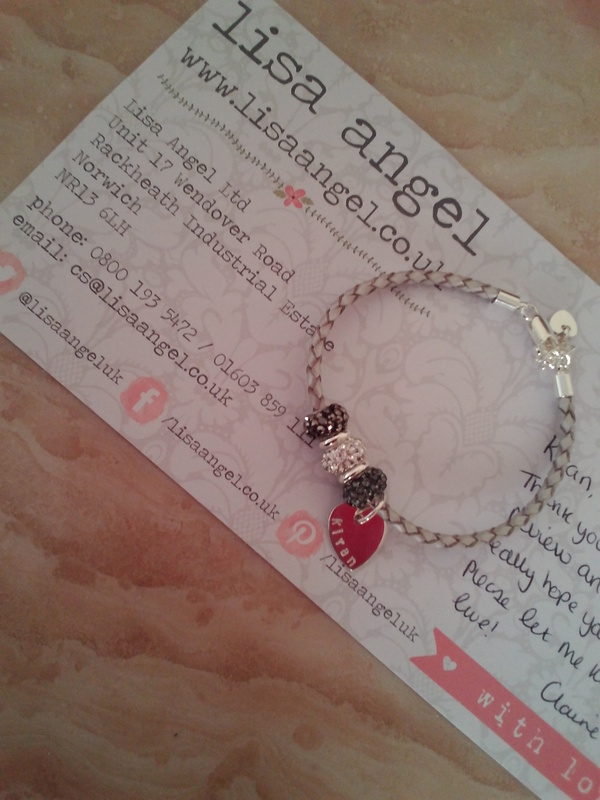 What’s your favourite jewellery piece on the Lisa Angel website? Comment below.